Fermented foods: sauerkrauts, kombucha, yogurts – represent a staple aspect of traditional foods across the globe; that is, traditional cultures around the world each practiced the art of fermentation. And while many fermented foods were born out of practicality – a way to preserve the harvest of summer well into the dark days of winter – even those tropical and equatorial peoples who had no need to preserve food still fermented at least some of their foods. Fermentation imbues our foods with probiotics – that is beneficial bacteria. These bacteria, when ingested, populate the intestinal tract and begin to interact with the body in a positive way by training the immune system, manufacturing vitamins and keeping opportunistic bacteria at bay which is why it is an essential aspect of not only a traditional foods diet but also an essential aspect of healing protocols like the GAPS diet, the Specific Carbohydrate Diet and the Body Ecology Diet, all of which provide protocols for healing the gut, and addressing issues of digestion as well as systemic health. Fermented foods are typically also raw foods; however, fermented foods can be cooked after fermentation (think of sourdough bread). Cooking damages the probiotics present in fermented foods, but it Wild-fermented foods require little but vegetables, salt and time; however occasional recipes require the use of a starter culture (consider water kefir, milk kefir and kombucha) and those undergoing specific healing protocols may find benefit in using a specifically formulated starter culture in all ferments which provides the added benefit of culturing very specific beneficial bacteria. Fermented foods are healing foods. Fermented foods offer a plethora of benefits. They support systemic wellness, digestive system health and proper functioning of the immune system. 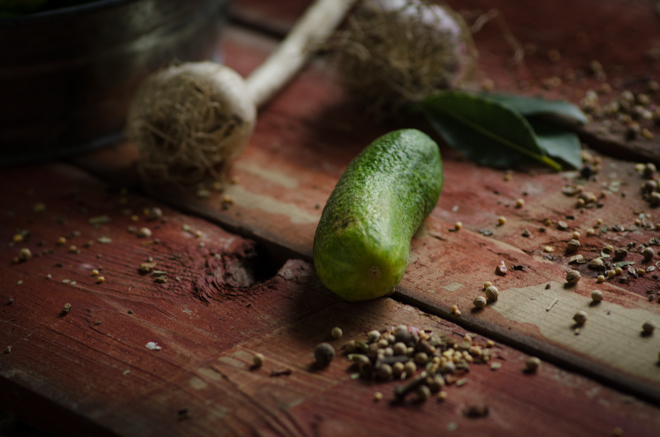 The links below provide you with quick reads and simple information covering the benefits of fermented foods as well as the history of fermented foods. Ready to dive in? Start with these simple recipes for fermented foods. For those new to fermented foods, for reluctant spouses and for picky children, it’s often best to begin the introduction of fermented foods by fermenting foods they already enjoy: homemade ketchup, fermented chili sauce, homemade yogurt, salsa and sour pickles are good choices. Now that you’re ready to get started, you’ll need to know where to get starter cultures, fermentation crocks and good quality sea salt for your fermented foods. And if you really like how it goes, check out the online cooking class designed to teach you to ferment anything as well as the cook books and other goods. Amazing master list of resources. Thank you! My own health and challenges are really turning around with a diet that helps and heals. Hi Jenny, I recently became a nurse – changing from building homes to nursing – after years of reading up on the very issues you talk about. Now I’m focusing my nursing career in this area of health – including it with my focus on nutrition and fitness. 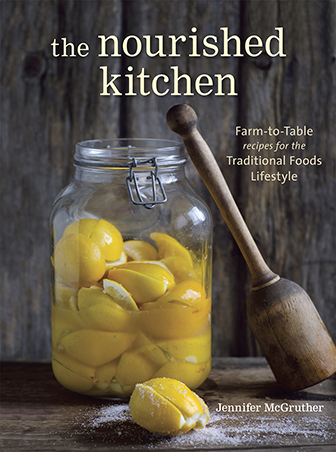 I’m so glad to have found your site and recently got your book “The Nourished Kitchen”. These truths need to become more mainstream in our society. Good for you for doing this! I have referred a few friends and family to your site, as well. I’ve been making some fermented foods for a few years. I started out by going to Fermentation Fest in Reedsburg, WI. I’ve been fortunate enough to attend classes there given by Sandor Katz, and other experts. For me, seeing and/or actually doing things in person is better than a webinar, as great as those are. And having this great resource only a few hours from where I live is pretty amazing. I’m going this weekend (Oct. 3-5) for the first set of classes for this year and will be expanding my knowledge base on cheeses and other items. One of my daughters comes along and we have a great mother/daughter weekend. Reedsburg is also close to the Aldo Leopold Foundation and WI Dells, so there is plenty to do in the area if you don’t find enough classes to fill your day. Thank you for the awesome list of resources on fermented food. I’ve been looking into making my own fermented food as a way of making my diet healthier, and this seems a great start. I have a genetic condition called Hemochromatosis (iron overload) that affects about one in three hundred people. One of the symptoms is IBS and I started fermenting to add probiotics into my diet. It worked but my iron readings shot up steeply and I now find out that fermented foods can help the body bind iron. Great if you are anemic but bad for us Rusty types! I am going to try and walk the tightrope between helping my IBS and keeping my iron low. Anything you can do to raise Hemochromatosis awareness would be very much appreciated. Jenny, thank you for your inspiring cookbook! I am blessed to now be living back on the Olympic Peninsula of Washington State where small organic farms are the norm rather than the oddity. We eat well here and have access to not only sublime produce but pasture raised chickens and their eggs, pork and grass-fed beef. But what launched me in your cook book was the art of fermentation and I’ve been captured and having a delicious time of it…quite literally. We are fortunate also here to have a raw milk dairy of Jersey cows just 25 miles from me. Just today I decanted 1 quart of cream from a 1/2 gallon of Jersey milk! I’d been making kefir but found too much butterfat showing up and came up with the idea of skimming off the cream and making cultured butter. Yep. I’ve got the cream and the kefir grains and I’m off and running probably this weekend. Your cookbook is fabulous and it fertilized me even more into more ideas. Thanks and I love following your recipes and what you are doing to bring traditional foods that truly nourish us, back into awareness and their glory! In my opinion, fermented foods went through a little bit of a decline in the West, but are coming back now. For a long time, they were the only game in town, and when conservation was invented, people wanted to do just that – https://en.wikipedia.org/wiki/Canning But now, things like sauerkraut are slowly gaining in popularity. Living yogurts is a big one too, though some studies have shown that if you are trying to change your microflora using yogurts, it is unlikely to work, your internal ecosystem is pretty stable. For herbal teas, you can use fermented Chamerion angustifolium, if it is available in your location. Of course, other types of herbal tea can also be used, such as melissa – https://herbalref.com/melissa-melissa-leaf-melissae-folium/ , camomille and others. They are also good as a mild medicine and will help you relax (usually, some are stimulating). Many of those herbs used as fresh or dried up, but maybe fermentation can also be used. Hi Jenny! I have been reading on your website about fermenting different types of foods and I had a question I couldn’t find an answer to…Probiotics are beneficial bacteria not just lactobacilli…so when you ferment different types of vegetables do you increase different probiotics in different vegetables? Or is just lactobacilli that increases? Basically do you get different probiotics in different vegetables or are they basically all the same and the only benefit to using different types of vegetables is the increased variety of enzymes? Thanks so much! You get different bacteria, predominately lactobacilli, depending on what bacteria are present in the environment at the time of fermentation. If you’d like to culture specific bacteria, make sure to use a starter that contains the bacteria you’re after. Thanks so much! So yes, different vegetables contain different bacteria (probiotics), but all vegetables contain predominately lactobacilli correct? Does the same thing apply to things like Kvass, do different ingredients create different bacteria? Thanks again, you rock! No, different ingredients do not create different bacteria, unless you’re talking specifically about starter cultures. The bacterial profile has less to do with ingredients than it does with your environment. 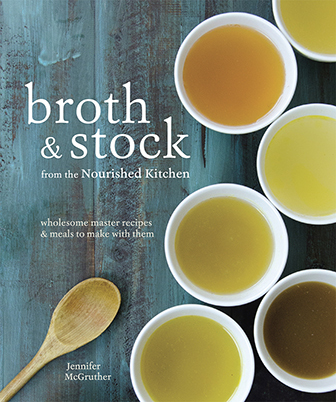 I have been a big supporter of nourishing traditions and its philosophy for years, and I love your site and book. My difficulty is that I have a lot of trouble eating anything that has been fermented, other than some dairy products; this includes alcohol and vinegars, not just fruits and vegetables and soft drinks. I feel like I am doing something wrong, I do understand how important gut flora is, and I want to access that and the huge spectrum of recipes that are fermented, but beyond taste, which it always tastes like it has gone bad, it makes me flush and overheat and feel like my skin is burning. I am generally a very healthy person, and have not had much trouble with digestion, so I guess my question is, are there certain people/body types that do not need, or need much less fermented food to be at their optimum health? I guess that is what I try to tell myself, but would love another opinion. It’s important to understand the importance of your bioindividuality. If fermented foods don’t make you feel good, avoid them. Some people are sensitive to the compounds in fermented foods. It’s okay for you not to enjoy them or not to eat them because you don’t feel well when you do. Why buy starters? It’s so easy to find someone who already has kefir grains, you can start yogurt and kombucha from your favorite unflavored variety, and sourdough yeast is floating in the air all around us! Chas, you need to recognize that while it may be easy FOR YOU to find someone who already has kefir grains, that’s not the case for most of the readers who read this site, and, for those readers, it’s incredibly valuable to know where they can purchase starters. You can totally start yogurt from your favorite unflavored, additive-free variety, but you will not be able to find any heirloom yogurts, like viili or filmjolk or matsoni, in any grocery store or natural foods market, and many of the readers here are looking for those heirloom starters because they offer such unique flavors and textures. And even if you’re using your favorite storebought variety of yogurt, you’re STILL BUYING A STARTER, just at the grocery store. And NO you should not start kombucha from a commercial brews. Commercial brews, to comply with laws related to alcohol content, are often filtered or otherwise adjusted and they have a tendency to grow poorly performing mothers with an imbalance of bacteria and yeast; it’s better to get it from a reliable source (one that has never been refrigerated or treated with vinegar) if you want consistently reliable brews. Wild yeast is all around us, and a purely wild starter is a fun thing to develop, but for new sourdough bakers it’s much easier to start from an established starter which will give you reliability and consistency. Hi, I love this fermented ketchup and made a large batch last year. I need to make another batch, but I don’t see the recipe anywhere? Is it in one of your publications for purchase? Or am I totally missing a link to it every time i read this page? My kiddos only know this ketchup and it’s wonderful! I’m a beginner in the process of fermentation, and I’m also trying to make cultured plant-based cheese at home. I’m am wondering whether you can help with this subject with specialised books, or forum, or a purchasable pdf to download for practical instructions (different cheeses recipes and methods) and theoretical guidelines, in order to better understand the fermentation process in cheese making, troubleshooting and a potential freedom to a self-safe exploration. I’m testing different cultures starters to culture the medium, such as probiotics in capsules and rejuvelac, next will be kefir. In order to develop different layers of flavours in the final product (the rejuvelac is very dominant in the medium…) can I mix 2 of them? water kefir obtained by water kefir grains + rejuvelac or probiotics from capsules in the medium I want to culture? How? How can I use miso as a culture starter in parallel with other cultures? How? Alternatively, can I culture 2 mediums with a different culture starters (e.g. one medium cultured with kefir and the other cultured with capsules probiotics or rejuvelac, or miso) and ones the culture process is over mix the 2 mediums? For harder cheese, if after the culture process I heat it to mix agar and tapioca, does the cheese become unhealthy or it is only a matter of killing the cultures?